Behind The Thrills | Will Cedar Point “Dive” into 2016 with a brand new coaster? Will Cedar Point “Dive” into 2016 with a brand new coaster? Will Cedar Point “Dive” into 2016 with a brand new coaster? Cedar Point is America’s Roller Coast, and at one point was the park with the highest coaster count in the world. While the park has lost the title, due mostly to coaster removal, it is still the coaster mecca that draws millions of visitors every year. So, could the park be going after a new record in 2016? It’s a little too early to tell, but if the Sandusky Register is right, the park could be diving right into next year with a record breaking new coaster. 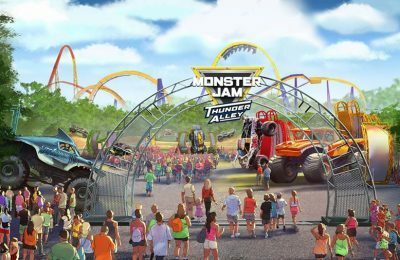 According to the Sandusky Register, the newspaper received a memo from a source about a design for a new coaster coming to the park in 2016. The memo detailed talks about Swiss based coaster manufacturer Bolliger&Mabillard and the “Dive Coaster”. For those not familiar with a dive coaster, it is usually a floorless train that takes riders to the top of the coaster, then drops then straight down at 90 degrees. The coaster usually has great elements such as the Immelman, which takes riders into a half roll, before turning upright again. The maneuver was perfected on the dive coaster Sheikra at Busch Gardens Tampa. The coaster is said to be an all new dive machine, standing at 223 feet with 3,625 feet of track and a price tag of around $15 million dollars. If the Register is correct the coaster will also sport a 270-degree roll, banked curve, an Immelmann with a half-roll exit, a second drop, a camel back. The total inversions on the new coaster will be four, which beats the number of inversions on a dive coaster by two. The record is now held by Busch Gardens Williamsburg’s Griffon. Speaking of Busch Gardens, there was a long standing contract between B&M and Busch Gardens. The contract is said to have kept B&M from building any other dive coasters in the United States. With that contract expiring, that paves the way for an all new dive machine. Cedar Point’s last coaster was the massive wing coaster, Gatekeeper in 2013. If the memo is correct, that will be only three years between coasters. The last coaster that Cedar Point opened before Gatekeeper was Maverick in 2007. Could Cedar Point be trying to bridge the gap on the coaster race? 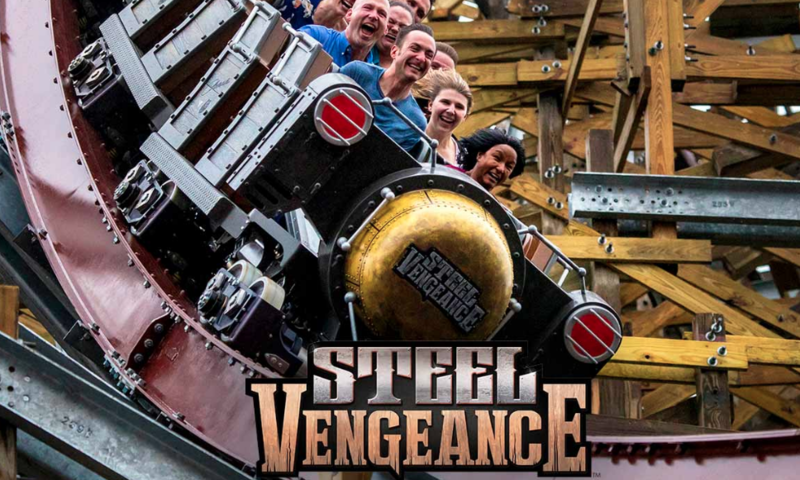 The cost on the new coaster is also significantly lower, reportedly, at $15 million. Gatekeeper cost around $30 million. The new coaster will go in the space occupied by the Good Time theater, which was shuttered in 2014 for “park expansion”. Are you excited for the prospect of an all new coaster in just a year’s time? Stay tuned for more from Cedar Point, and be sure to get social with us on Facebook, and follow along with us on Twitter @BehindThrills for the latest updates!